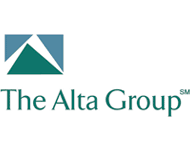 Tetra Financial Group has funded a $1.5 million transaction for a large Kentucky-based coal mining company in the form of a 36-month operating lease. The funds were for two used pieces of CAT equipment the company had been renting for several months, which are vital to the company’s operations. The company has recently entered into new contracts that depend on the use of these trucks for production at the mining locations.